As 2016 winds down, it’s time to start thinking about NADA100 and celebrating a century of NADA. This year's show runs from January 26-29 in New Orleans. Your best friend and lifesaver at the show will be the mobile app. Use it to find your favorite exhibitors, navigate the convention center, rate your experiences, and download valuable session information. With non-stop action at the expo, you won’t want to miss a minute. You can download the app for Apple and Android devices. After you download it, make sure to find Booth #2327. This will be your destination for all things digital. There we’ll be happy to introduce you to our new trade evaluation tool, Value Scout. Value Scout is a fully digital trade-in acquisition tool to help you acquire more trade-ins and leads from your website. Value Scout converts vehicle shoppers into buyers with the fastest and most accurate website trade-in tool in the industry – Value Scout Multi Book. Make sure to stop by the booth for details. 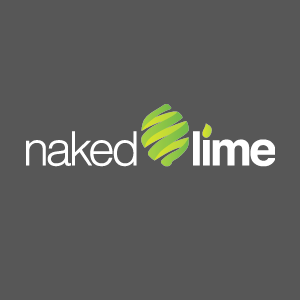 Over the past year, Naked Lime has focused on improving and expanding our digital advertising services. Already a stand-out for being managed by hands-on experts and tracked to the penny, we have introduced new features to increase effectiveness and profitability, including programmatic advertising. Our booth staff will be happy to show you what’s new. Sometimes you need a marketing makeover, but aren’t sure where to start. Our Naked Lime consultants will be in the booth to deliver a personalized market analysis to give you a fresh start in the new year. It's not another generic marketing sales pitch – we use your actual dealership and market data to have a real business conversation about what success looks like to you. If you aren’t yet registered for #NADA100, go do that, then call 855.NKD.LIME today if you simply can't wait to hear more about what we have to offer.